“We are concerned by the deteriorating situation in Egypt, particularly restrictions on civil society, detentions of political activists and reports of torture and enforced disappearance. We call on Egypt to release political detainees, end the use of pre-trial detention beyond its legal limits, and allow NGOs to operate freely,” the Kingdom said in a statement at the session. 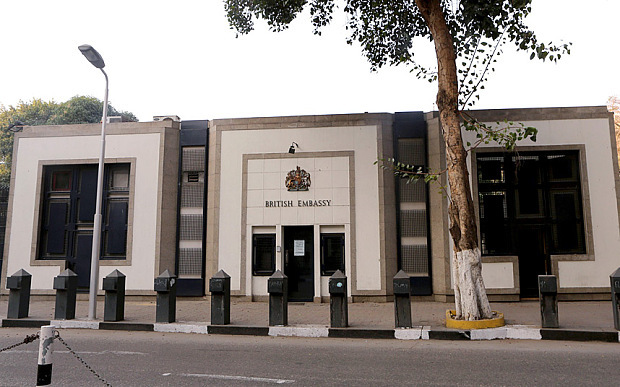 While the UK had previously placed Egypt on its list of Human Rights Priority Countries in April of this year, the policy has now shifted to place Egypt as a country with a human rights situation requiring the Human Rights Council’s attention. The UK’s Foreign and Commonwealth Office pointed to the continued “reports of torture, police brutality and enforced disappearance,” the crackdown on the country’s civil society that has led to the shuttering of several human rights NGOs, as well as the death by torture of Italian student Giulio Regeni in Cairo. The report went on to say that Egypt’s media environment “continues to be restricted” and that the government issues media gag orders on sensitive topics such as the demarcation deal with Saudi Arabia that saw Egypt ceding control of the Red Sea islands of Tiran and Sanafir. Egypt’s human rights situation has been under international scrutiny for the past several years, particularly under general-turned-president Abdel Fattah Al-Sisi’s rule. According to international rights watchdogs such as Human Rights Watch and Amnesty International, Egypt’s human rights abuses also include mass trials, a lack of freedom of speech, violence and discrimination against women and a lack of accountability for the perpetrators of rights abuse. Despite the international criticism, many countries such as the United States and France have continued to provide military aid to and sign arms deals with Egypt.